Thanks in part to the imagination of innovative architectural bigwigs in days gone by, the North East is graced with beautiful buildings which are associated with our region’s proud industrial heritage. Many have been repurposed as arts spaces, with Newcastle’s Mining Institute and The Lit & Phil being shining examples; this delightful trend is continuing in Durham, as the Durham Miners Hall opens its doors to serve this very purpose. The headquarters of the Durham Miners Association (coming from East Durham, I’m aware of the enormous socialising impact of the DMA in my community), The Miners Hall – otherwise known as Redhills – endeavors to continue as a venue which enables voices to be heard. The Durham Miners Association have expressed a commitment to ensure that this historical meeting place doesn’t become a museum, and Redhills remains a living breathing site of culture, community and education. 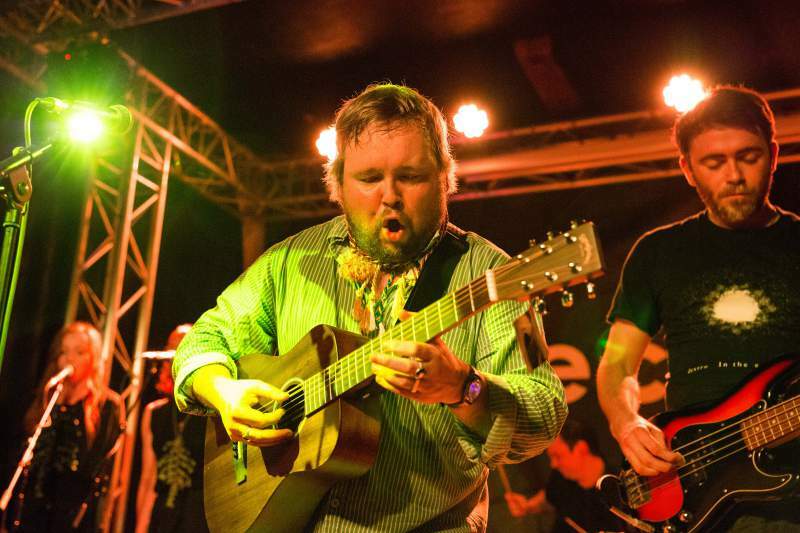 Who better to inaugurate the spectacular Pitman’s Parliament with contemporary performance than regional (and future national) treasure Richard Dawson, who graces the theatre space on Friday 2nd February. Richard’s 2017 album Peasant is an emotional tour de force and was rightly showered with critical accolades, including featuring in The Guardian’s top ten and topping the Quietus’ end of year lists. The show will provide a unique opportunity to see Richard’s perform in a space as beautiful, idiosyncratic and ornate as his music, with a suitably chosen support slot from politically charged pop-punkers ONSIND.